This a typical "emergency" patient complaining of abdominal pain, nausea, presenting in a surgical emergency department. 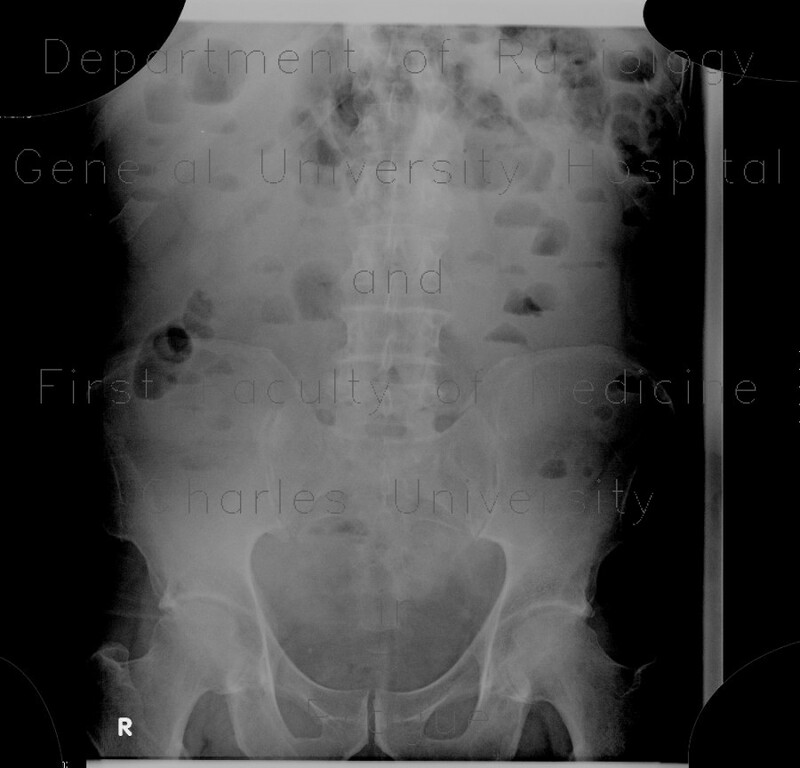 Abdominal radiograph shows several small air-fluid levels with no dilation of the bowel. An ultrasound image is typical - abundant intraluminal fluid and edema of valvulae conniventes (Kerckring's folds) that increase echogenicity and acquire layered appearance.